Shutterfly and Lifetouch. We get it. Now what? 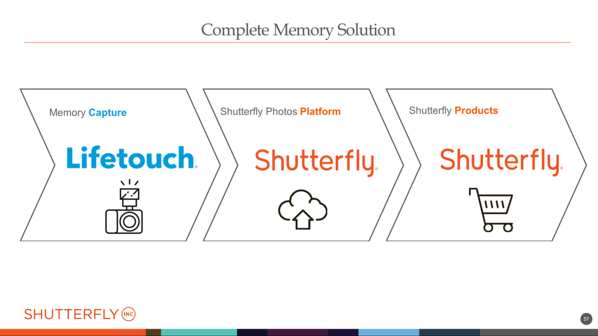 Last week, we wrote an article discussing how Shutterfly is leveraging their new ownership of Lifetouch by delivering fall school photos to customers through the Shutterfly digital and mobile platform. This week, we will explore the impact this will have on the market and ways that volume photographers can effectively compete in this new environment. 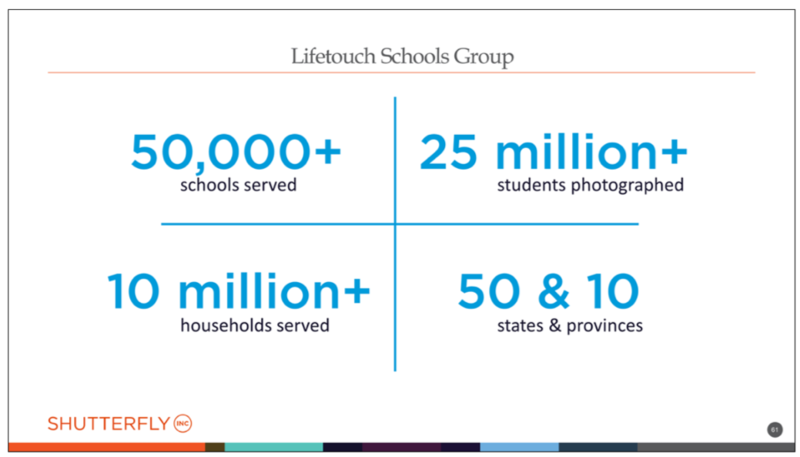 Lifetouch currently has 50,000 school contracts, serves 10 million households, and photographs 25 million students across 50 states. Marry that with the brand recognition, marketing engine, and resources of Shutterfly and it’s safe to say that they will have a big impact on shaping expectations in the market for both consumers and school administrators. As an example of how quickly consumer expectations can change, think back to 2007. Consumers were happy with a flip phone when Apple announced the release of the first iPhone. No one could have imagined the seismic shift in the market that would follow. At first, Motorola and Ericsson did not feel pressure from this announcement as they were the market leaders and felt that they could ignore Apple. Many will remember the infamous declaration by Microsoft CEO Steve Ballmer at that time. "There's no chance that the iPhone is going to get any significant market share. No chance," said Ballmer. Well, we all know how that story ends. It didn’t take long for consumers’ expectations to change and for millions to want this new computer in a pocket. In a way, that is what is happening in the school photography space. 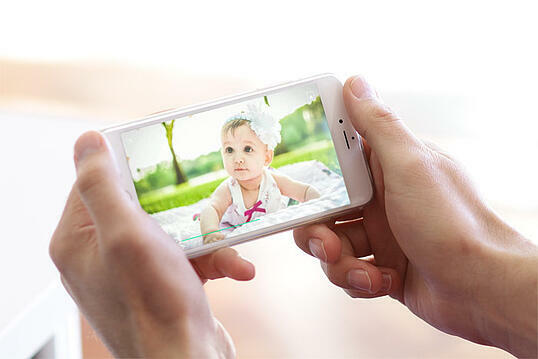 With a potential to reach into over 25+ million households, Lifetouch and Shutterfly are starting to message into this market about what they now can deliver in the digital realm, and what the consumer should expect from their school photographic experience and the broader concept of family memories. 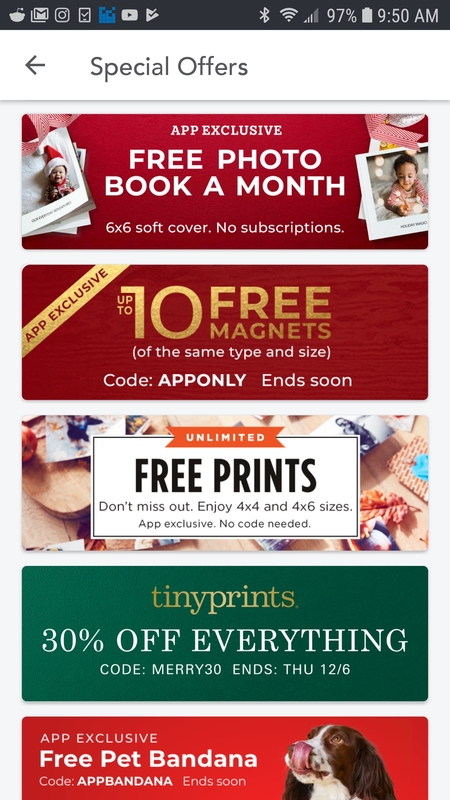 As a tangible example of how Shutterfly is changing the long and deeply entrenched rules, take note of the benefits they are offering to parents if they use the Shutterfly app. The screen shown here is what parents are presented with as incentives to view their school portraits in the Shutterfly app. Free prints. One free photo book per month. Free cloud storage of photos. And more. 1. Aggressive sales focused on gaining net new school accounts, specifically promoting to school administrators the benefits Shutterfly brings to young parents. 2. Shift to digital product packages to provide parents with an on-ramp to the Shutterfly mobile app and more opportunities for future purchases. 3. Aggressive shift to online and mobile sales. Their stated goal is to get to 90% online sales as quickly as possible. 4. A move to drive a complete school year program, not just picture day. Capture more content in more situations throughout the school year. More content = more value = more customers = more purchasing. 5. Keeping parents hooked with loyalty programs and ongoing offers that drive a higher lifetime value for that customer. 6. Keep schools hooked with and increasing number of incentives offered as part of the school program. They've already implemented a rewards program for the school with a percentage of every Shutterfly purchase made by a parent going back to the school as a fundraiser. Adapting to what will be a quickly changing landscape can be daunting. There are things you can adjust in your business model that will make you more competitive. One of the most important and impactful actions you can take to compete is making sure the experience and products align with parent and school administrator expectations. The good news is that we built the CaptureLife platform to align with the same consumer trends that Shutterfly and Lifetouch are pursuing. Over 450 CaptureLife photography customers and lab partners are already realizing the competitive benefits, and so can you. In fact, in a recent survey we conducted with our CaptureLife photography customers, 84% of respondents said the top reason they use CaptureLife is the ability to compete against the new capabilities of Shutterfly/Lifetouch. Win new business with a modern experience. When the CaptureLife value is conveyed as part of the selling process to schools, sports leagues, or other customers, it provides photographers with a tangible competitive advantage. We’ve seen photographers win new customers by incorporating the message of a more modern, customer focused experience and have seen other photographers lose accounts because they don’t have that message. Own Your Customer. The CaptureLife mobile digital delivery experience connects you directly with your customers on an ongoing basis rather than conceding that relationship to the school or sports league. In fact, after only one delivery, the CaptureLife app remains on customers’ phones 70% of the time. That means real staying power, and it means you can communicate with them directly using CaptureLife’s marketing platform to build brand loyalty and drive future sales. Increase Your Average Order Value. Because the majority of parents are valuing and expecting digital images as part of their photography purchase (see results of our recent survey), photographers using CaptureLife have been successful in increasing both participation rates and average order values. Many businesses have successfully increased prices for packages that include digital by 10 to 40%, and at the same time, they’ve increase the number of buyers by offering digital with print - stemming declining participation rates. Gain More Revenue by Ending Dead-End Transactions. Today’s photography business model is characterized as a “one and done” transaction with no ongoing connection with the consumer beyond the photo engagement. Gaining direct access to the customer unlocks the ability to employ modern marketing techniques, upsell additional products and drive more revenue. CaptureLife has a built in Print Store that can drive additional purchase rates up by 5 times the current industry average. By offering that convenience, a superior shopping experience, and great assortment of products, CaptureLife has increased average order values by 16%. Become a Marketing Machine. With CaptureLife you build your customer database and flip dead-end relationships into ongoing engagement with the platform’s marketing and messaging capabilities. You can promote your company and products using any combination of push notifications, pop-up ads, text messages, or email. CaptureLife tracks every customer interaction with your content on their smartphone so you can promote your products and specials at just the right time to drive more engagement and purchasing. New Customers from Social Sharing. The CaptureLife App exponentially expands the number of potential buyers by tapping into consumers’ innate desire to share the moments that matter to them. Once your professional images are purchased and delivered in the app, they can invite family and friends to their photo album. Data shows that, 27% of customers are inviting one or more people into their album and 25% of all CaptureLife in-app sales are coming from people other than the original customer. That’s new growth with very little effort. Increase Participation Rates. CaptureLife offers a unique workflow that helps you reach and convert non-buyers into buyers. 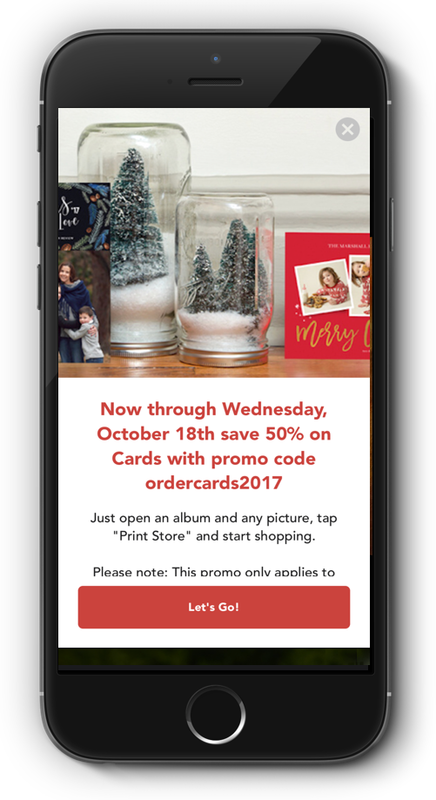 With a modern text-back feature, parents can send a text with their unique subject code and then proof and purchase photos right from the convenience of their phone. With this new program, photographers have been able to convert 10% of their non-buyers to increase participation rates and revenue. New Revenue from Digital Product Sales. CaptureLife also has a growing catalog of digital products you can sell through the app. Products include additional poses, backgrounds options from your green screen workflow (new for the 2019 spring season), videos, and video stories with motion and sound created from still images. All of these have been developed to reduce your time and effort, add to your arsenal of unique products, and help you increase sales. We’ve seen that over 20% of parents will purchase additional digital products being offered through the app. Don’t Change Your Workflow, Leverage It. Volume photography workflows can be very complex and involve entrenched capture, data, and commerce solutions to help you process orders. Unlike other systems, CaptureLife does not require you to change your workflow, systems, or business model. Our open architecture philosophy has allowed us to integrate with industry leading systems, such as Photolynx, ROES, DP2, and Photoreflect, just to name a few, so that we can adapt to your existing workflow and start driving value quickly. Labs can Offer a Competitive Advantage. CaptureLife has a growing network of pro labs that offer CaptureLife to their customers, including leaders like Miller’s Professional Imaging, Richmond Professional Lab, GPA, Technicare, Ark-La-Tex, JD Labs, PrintMakers, Pacific Color Lab, District Photo, United Promotions, CPQ Imaging, and more. These labs host CaptureLife and their print products are available to your customers for future purchases. Plugging into a CaptureLife lab requires no upfront costs or system setup, so you can gain all of the benefits of CaptureLife today. Turn Events into Money Making Opportunities. CaptureLife Smart Events allow sports action, marathon, dance, concert, show, wedding, or any event photography business to streamline their operations and connect more powerfully and more immediately with their customers. Many volume photographers support these events and need a more efficient and effective way to drive engagement and sales. Smart Events can unlock that potential today. There is no doubt that the photography industry that we’ve known for the last 10 years will look very different two years from now. When this kind of shift occurs in any market, there is tremendous opportunity for those companies that see it, adapt to it, and harness it. We are ready to help you do just that. Contact us to learn how to gain the advantage.